Kinesthetic learning is learning that takes place while the student engages in a physical activity. Kinesthetic learning seems easier to incorporate in the learning of younger children but it is still vital to many older learners. 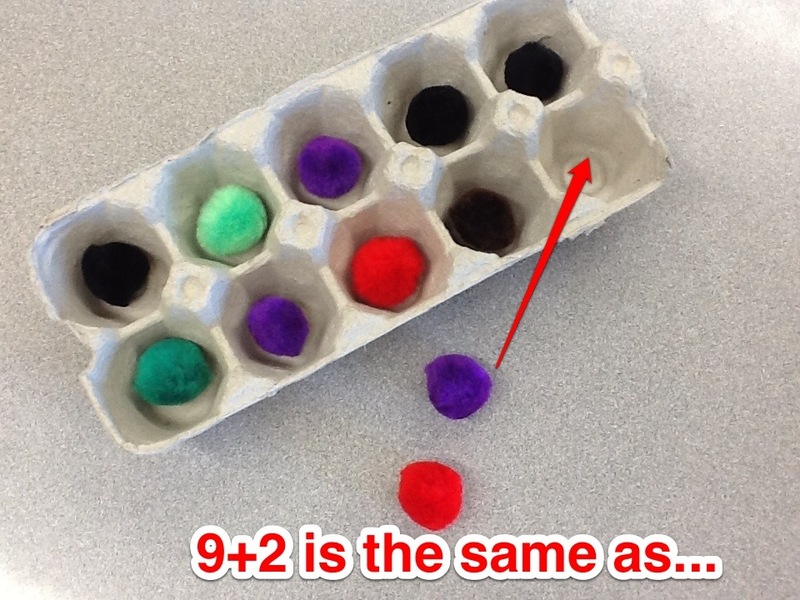 Adding hands-on activities will enhance any lesson. Many adults or older students still need to have motion added to their learning – this can take unexpected forms. Motion can be added with gum chewing, pencil tapping, doodling, leg bouncing, walking, note taking, highlighting, role playing, or typing. Kinesthetic learners need activity breaks. Unfortunately, many times the need for activity and motion is treated as misbehaviour. 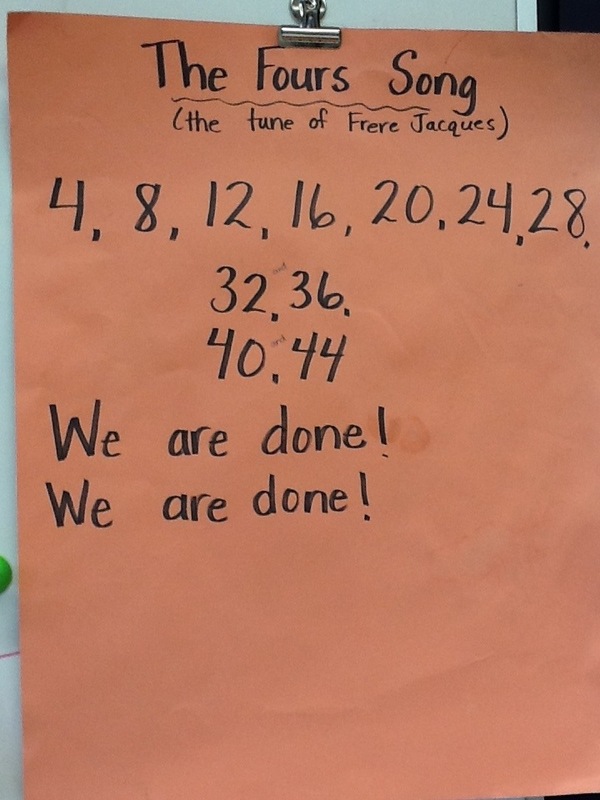 Posted in Math and tagged movement, strategies, Touch. Bookmark the permalink. 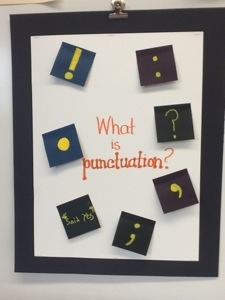 I was helping a student with a classroom assignment yesterday requiring punctuation. I received a blank look after explaining the instructions. I knew that the student understood about commas and periods, etc. I realized that the breakdown in understanding was the term “punctuation” not the execution of the assignment. Instructions often seem to include “hard” words. I have to be careful not to assume understanding. Today I made this poster. Students used painter pens on dark sticky notes. Now we have a visual for the term “punctuation” and we can take the stickies off to review or add stickies as we discover punctuation. I am a fan of interactive posters. Posted in writing and tagged comma, period, punctuation. Bookmark the permalink. 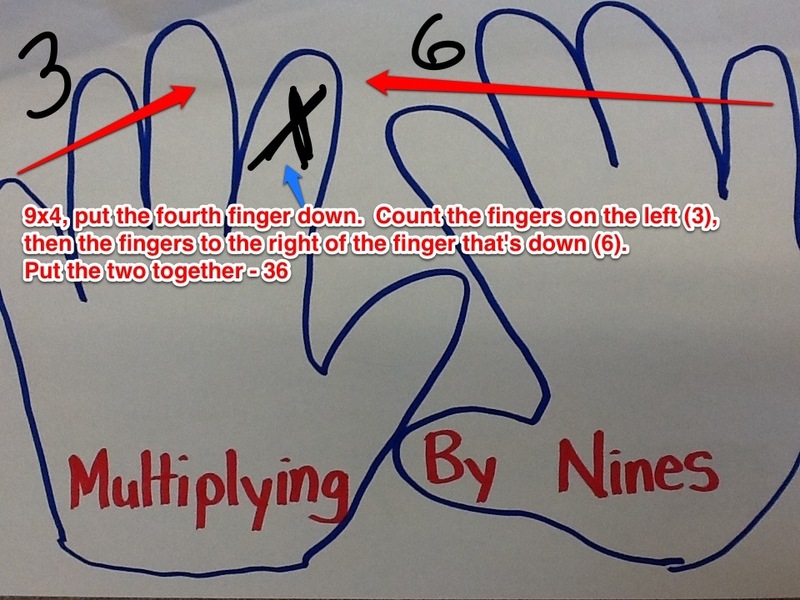 Number sense seems to be a challenging concept for children with a disability in math. Rounding would seem a very useful tool but understanding how to round and visualizing whether to round up or stay the same can prove to be very difficult. 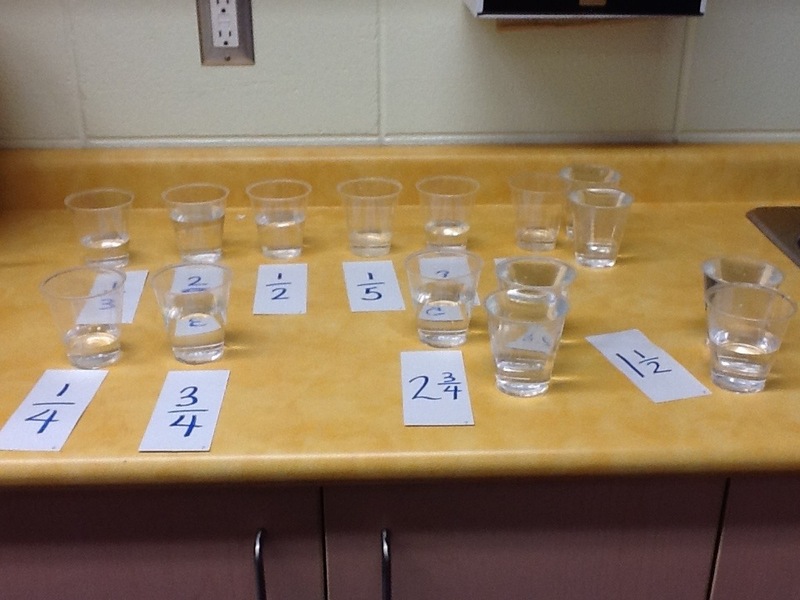 One thing that is important is to use consistent language while teaching the method of rounding. For some students I found consistent language and methods were not enough. 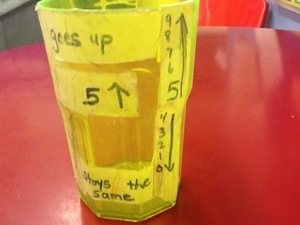 This cup was an effort to make the concept visual. If the number is over five, the cup is closer to being full. As you can see, the cup was used a lot! 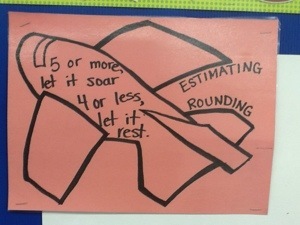 Posted in Math and tagged estimating, rounding. Bookmark the permalink. 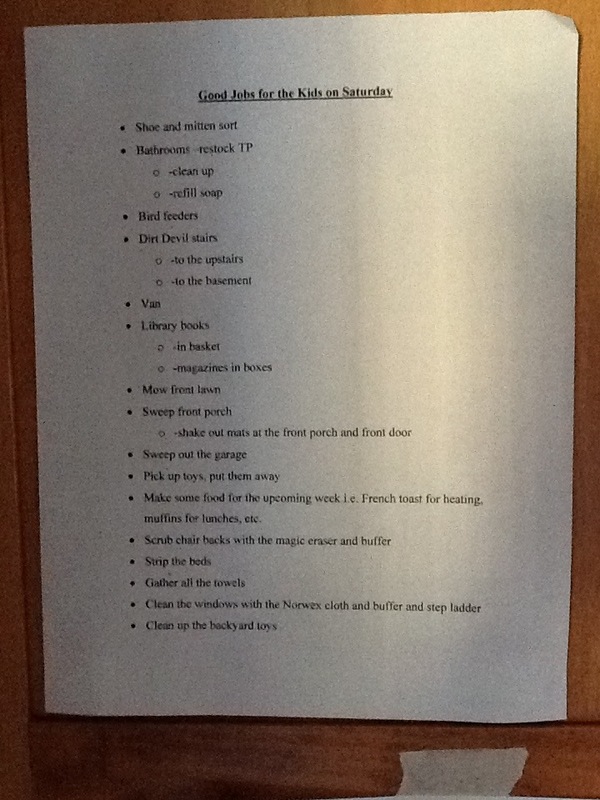 This is a list I’ve kept in my cupboard (taped inside the door) with ideas for regular jobs that the kids can do. Now that the kids are older they have daily jobs. I keep the jobs separate from allowance, I want them to help for the above reasons, not for monetary reward. Posted in Home, Kids and tagged Family, jobs, kids, responsibility. Bookmark the permalink. 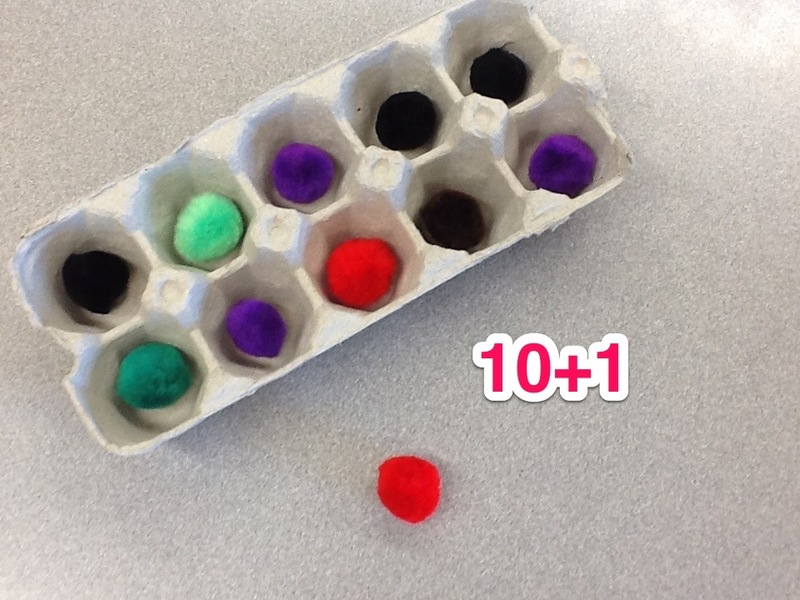 Posted in Math and tagged addition, nine, patterns. Bookmark the permalink. Posted in Math and tagged Multiplication, nines. Bookmark the permalink. Thank you to a former student for teaching me these simple, but very helpful songs. (These really stick! They get stuck in my head!) What I like is that the first word in the song is the number you want to count by (rather than spending time trying to remember the words to the song). 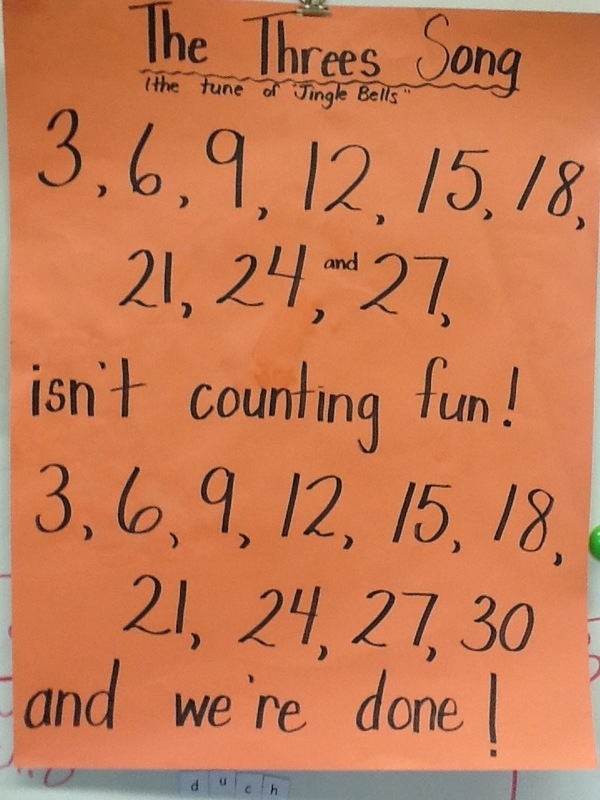 Posted in Math and tagged four, Multiplication, skip counting, three. Bookmark the permalink.